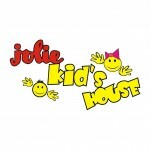 The Jolie Ville Kids House is a soft play area that is a great option in both winter (too cold/snowy/wet outside) and summer (too hot/sunny outside). It has two inflatables, a two-level play area and a babies play area with a number of soft mats and objects. It is large enough for kids to enjoy themselves, but not so large that toddlers become overwhelmed. 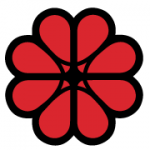 They can host parties, including providing food and entertainers. They sell snacks and drinks and have a seating area for adults. It is also possible to arrange to leave your kids with them for short periods of time. The soft play area on the first floor of the Jolie Ville Galleria and is open every day from 10am. 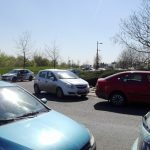 There is parking under the mall and opposite in the open air car park. 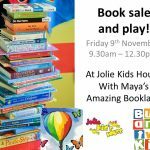 Jolie Kid’s House often hosts book sales and a weekly toddler-parent meet-up. They now open at 9am during the week. It’s a great place to take toddlers and kids. The staff are friendly and the kids really enjoy themselves in the space (it’s not so large that younger kids might get overwhelmed).